Maybe it was a dream too good to be true, but for Julie Tan (陈欣淇), the filming experience with K-POP stars was beyond words. 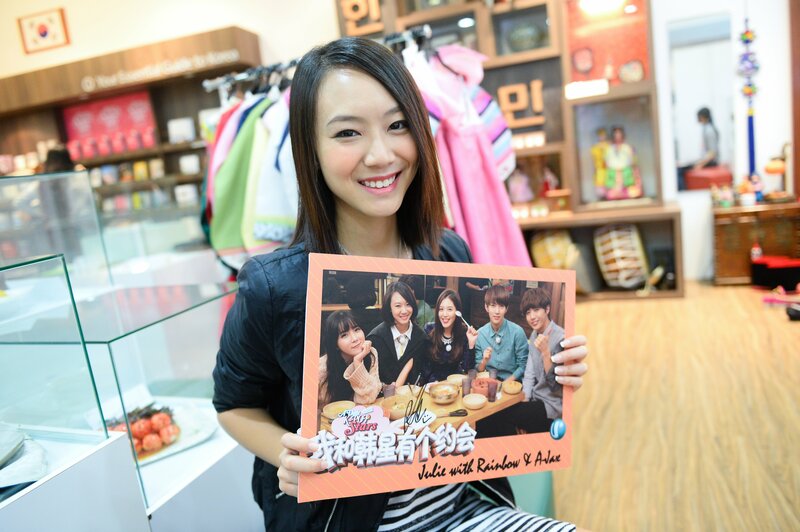 The home-grown Mediacorp artiste who was offered an opportunity to film a travelogue in Korea last year, is now ready to show the TV audience what she had done, where she had visited, and who she had met during her two-week trip in the land of Kimchi. Like many of us, Julie listens to K-POP music too. Her favorite star appears to be G-Dragon (leader of BIGBANG), as he is “someone who carries his own style“. 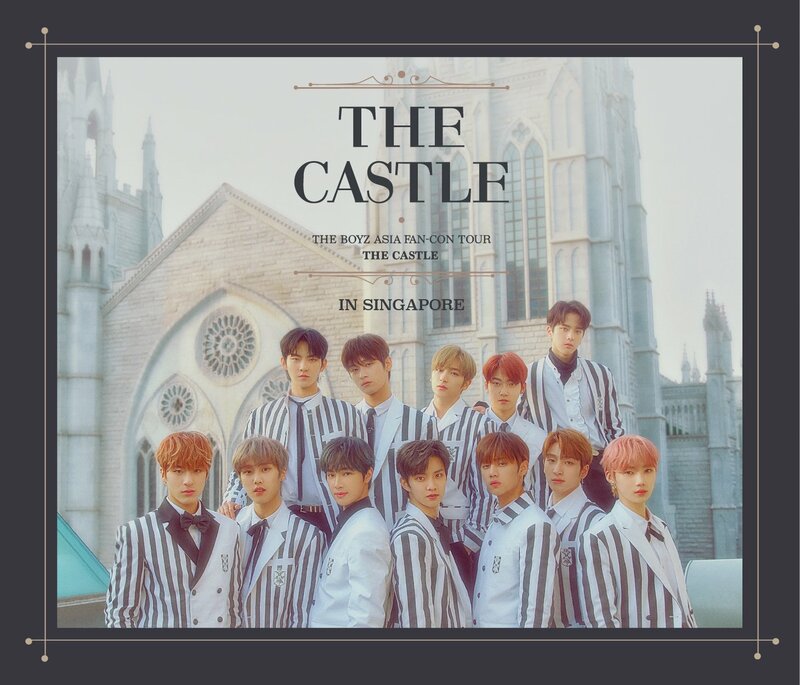 A Date With K-POP Stars, a co-production between Singapore and Korea’s CJ E&M, will begin airing its first episode on Channel U this February 21st, where fans can also look forward to seeing some of your favorite stars on the show such as Dal Shabet, Rainbow, Teen Top, A-JAX, Hwang Kwang Hee (ZE:A), etc. When asked about her impression of the K-POP stars whom she met during this trip, Julie described using two words ‘Nice’ & ‘Friendly’. While you’re wondering how Julie is able to communicate with them, she tells us that aside from the on-set translators, she usually converses in English with a little bit of Korean she picked up from her Korean friends. Then we remembered that one of the A-JAX members, Jaehyung, had mentioned about Julie as his ideal type last year when they were in Singapore for the Vizit Korea 2013 event. In response to this, Julie simply laughed over the phone and added that Jaehyung is very friendly and has a good sense of humour. ‘A Date with K-POP Stars‘ will premiere on 21 February 2014, Friday at 9pm via Channel U. With a total of 6 episodes, discover the hottest trends in Korea, find out the hot spots where K-pop stars usually dine at, and witness the real scene of K-pop with Julie every Friday, 9pm only on Channel U, the first TV station in Asia to premiere this program. We had a good time speaking to Julie over her experience in Korea, and can’t wait to catch the episodes on Channel U! Special shoutout to Mediacorp & Channel U for arranging the phone interview!